Beautiful Home located in the desirable Pinery West gated community offering maintenance-free lifestyle! Sit back and relax as the HOA takes care of your front yard mowing and snow removal. Cul-de-sac location & corner lot! Backyard has covered trex deck with professionally landscaped yard, water feature, gas fire-pit, flagstone patio & surround sound! Open layout, beautiful hardwoods - Family room with fireplace opening to the kitchen w/quartz counters, espresso 42" cabinets, pull-out drawers & stainless-steel appliances. Master suite with walk-in closets & 5 piece master bath. Main Floor Study could also be used as Non-conforming 4th Bedroom. Beautiful Finished Basement with spacious Recreation Room which includes Gas Fireplace, space for Pool Table, Wet Bar, Surround Sound plus addl bedroom & bath and plenty of Storage. HVAC System with new Whole House Humidifier. Radon Mitigation System. 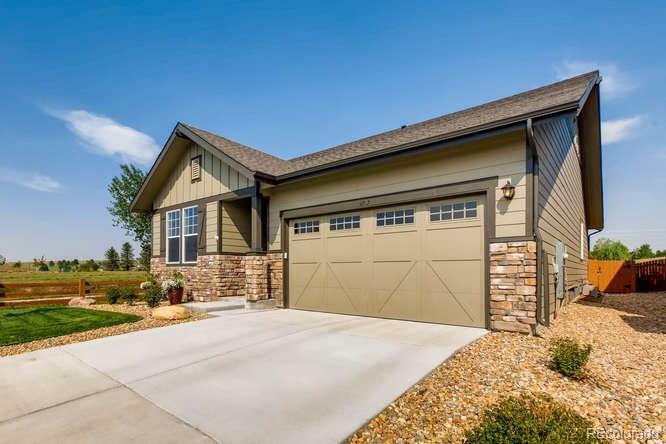 Great community with easy access to the Pinery Country Club, Cherry Creek Trail System.